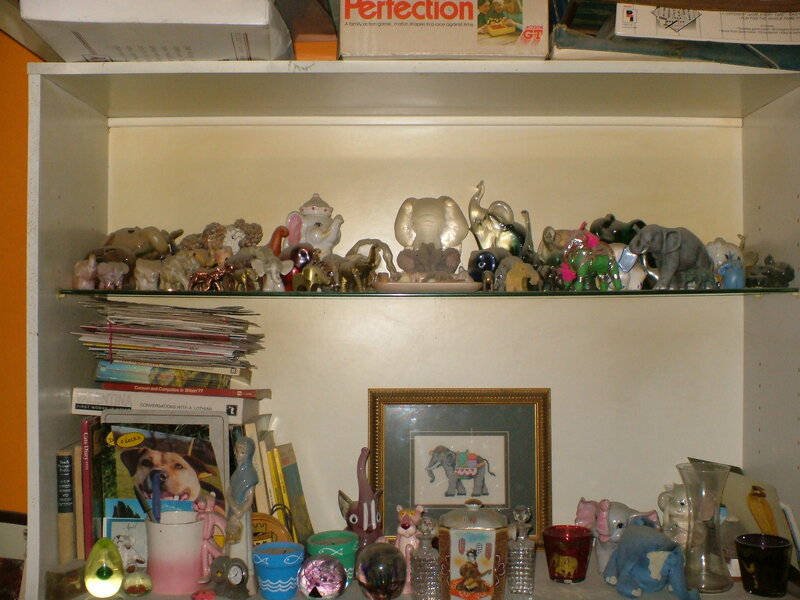 Two shelves of elephants I’ve added the above picture to show that the individual elephants mentioned below are just the tip of the iceberg! 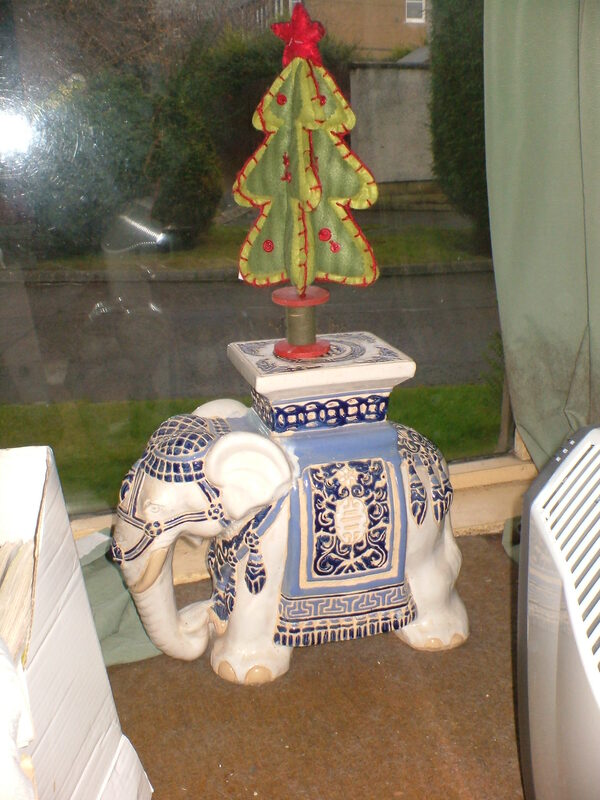 My elephant collection has been built up over about 40 years and now includes a picture embroidered by my mother-in-law and a set of wooden elephant bookmarks just given to me by another member of the family.The elephants are currently overdue for a spring-clean and maybe some rearrangement to display them better – my ambition being to get hold of an old-fashioned display cabinet for them. 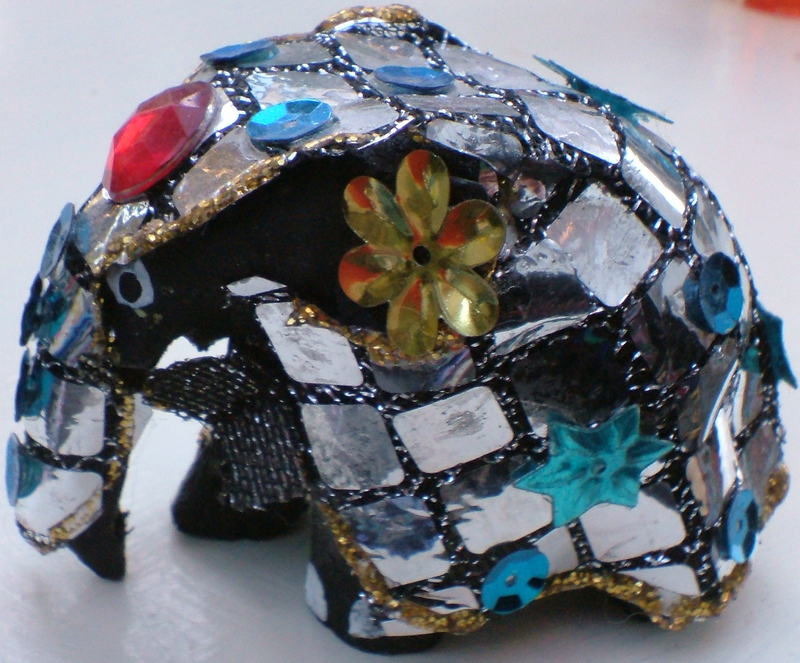 I have just discovered your books which i love and now I find you love elephants. 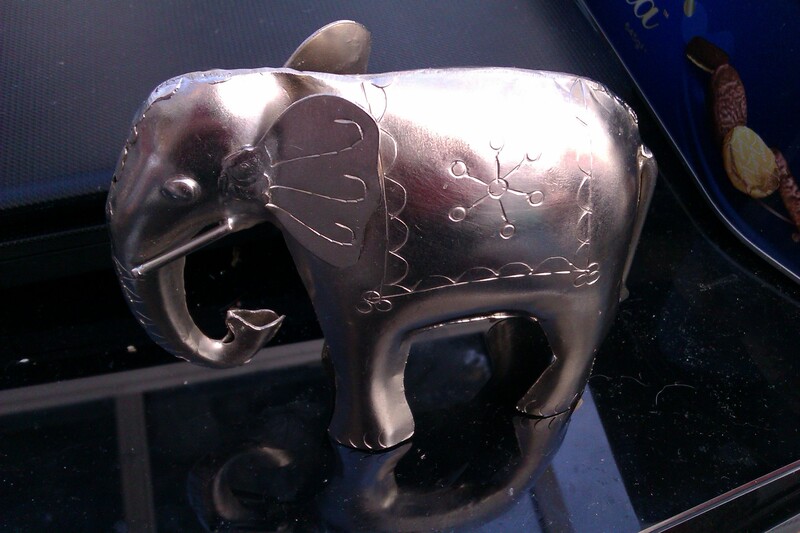 I also adore elephants and have an ever growing collection. 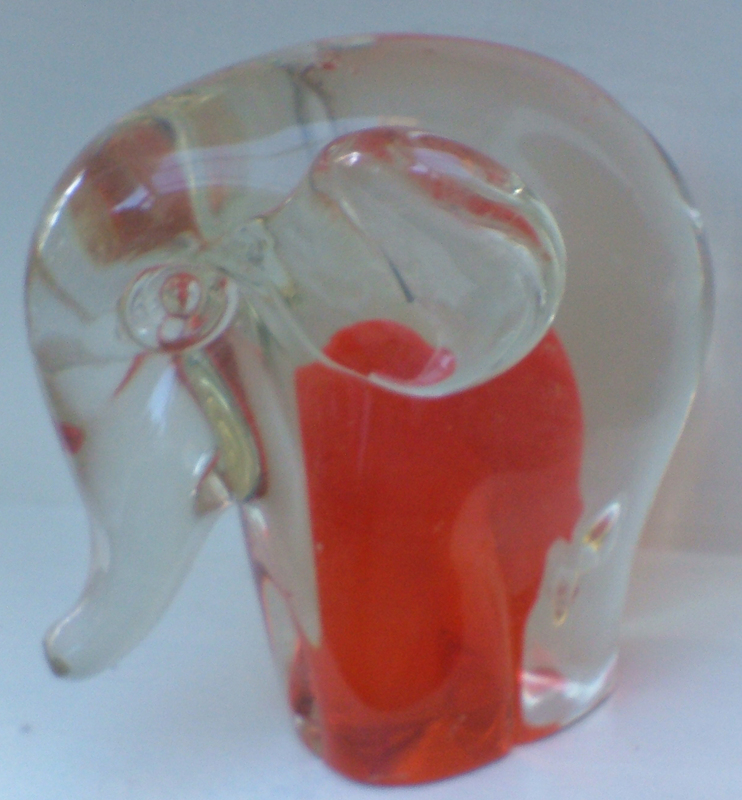 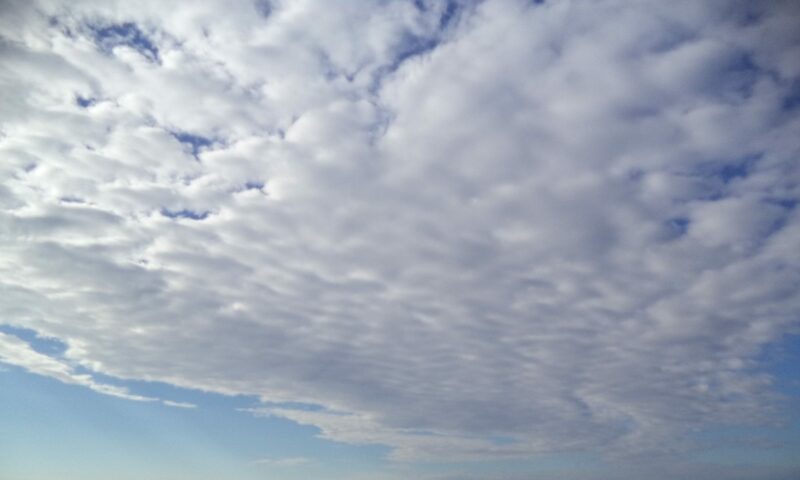 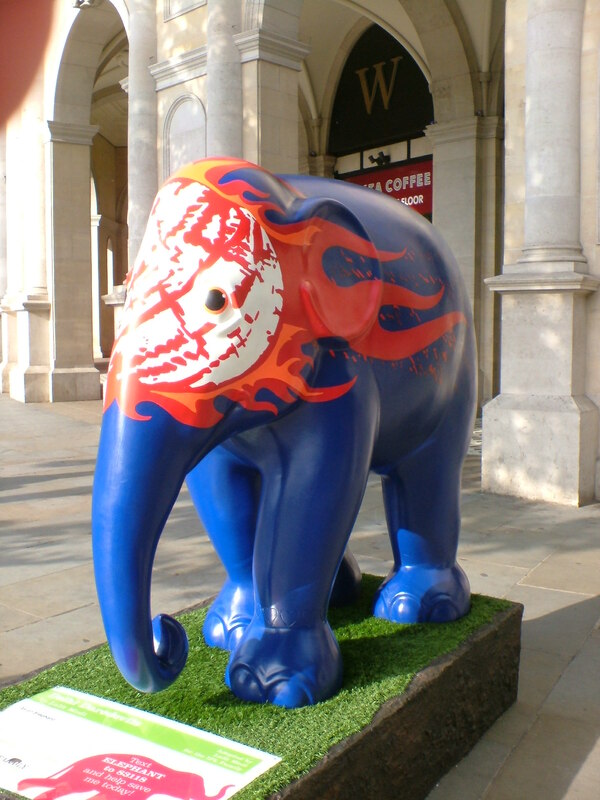 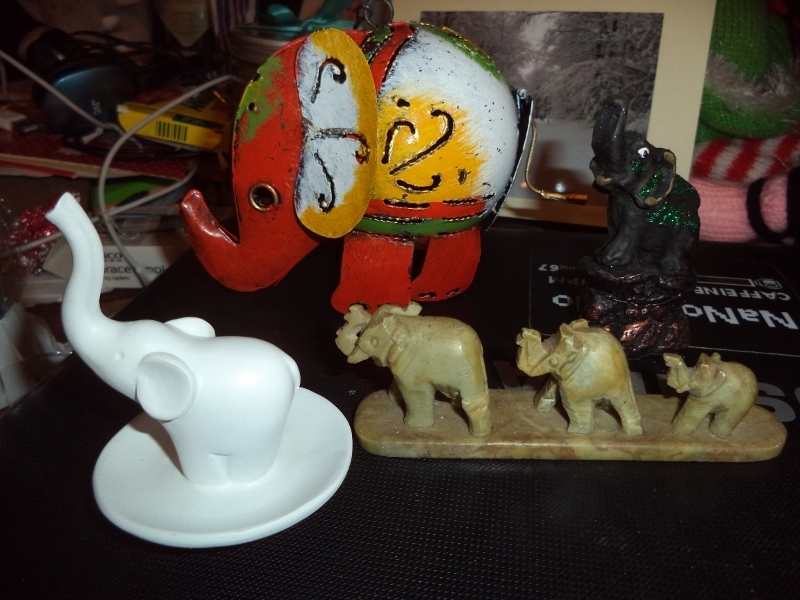 Hi Jeanette and thanks for your comment – I have many more elephants than are shown here I must confess!! 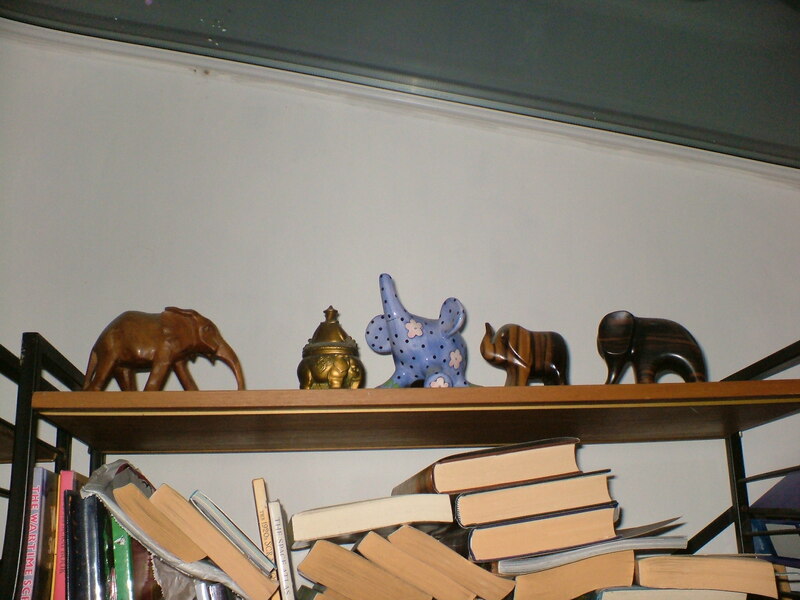 Whole shelves full of them… There was also an Elephant Parade in Edinburgh a few years ago and I think I have more pictures of that stashed away somewhere too. 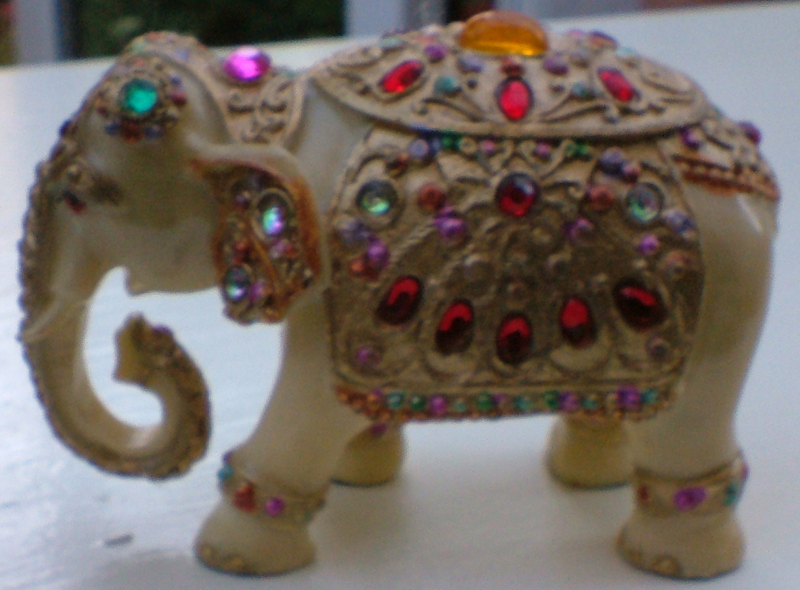 I think it started when I had a pink elephant on wheels to push along when I was learning to walk – some time ago now!